​Some of you may have read in our recent Facebook post that we’ve dog-proofed our garden by installing livestock fencing around the perimeter. 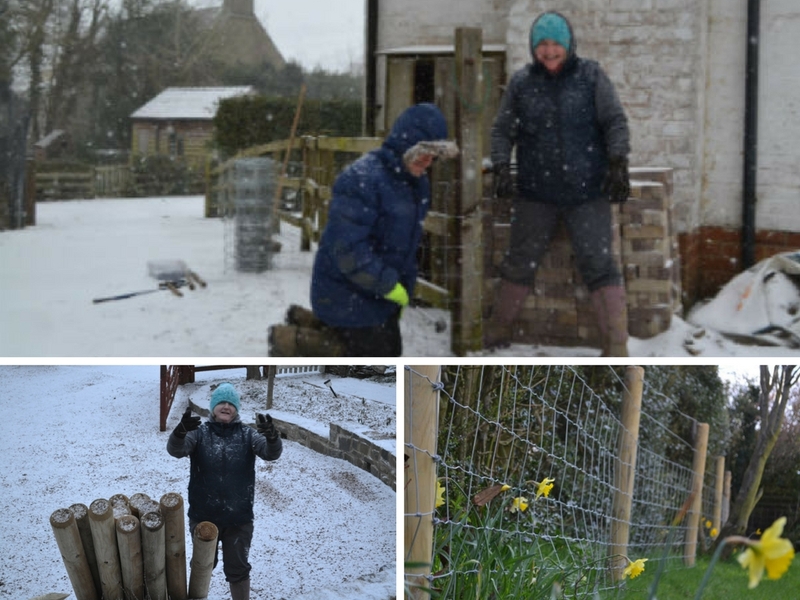 Our friends Nicky and Simon who own Completely K9, a doggy day care business near Leicester, worked with Dave through sub-zero temperatures and blizzards as the Beast from the East battered Britain. Meanwhile, I kept the fire burning and made copious amounts of soup and fresh bread to warm the workers when they came indoors. 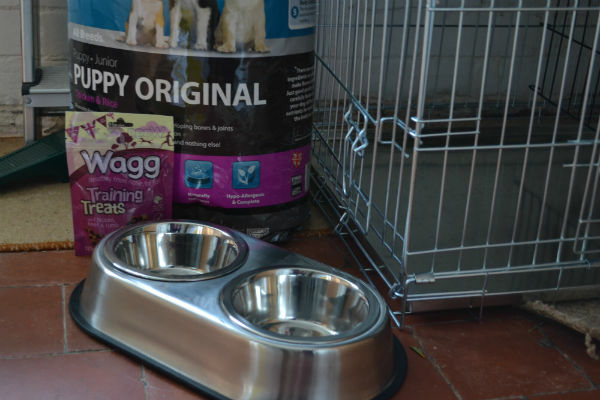 Raising a puppy for the first time can be quite a daunting prospect and certainly not one to undertake lightly, so of course there has been plenty of research, planning and preparation ahead of the big day. Those of you who know me from corporate life won’t be surprised to hear that there’s a costing spreadsheet and even a project plan to make sure nothing is forgotten! We’re lucky that we have lots of knowledgeable and experienced dog owner friends around us to turn to for advice, but as with most new ventures we’re finding that the world of puppy raising is an absolute minefield. There are so many choices to be made - wet or dry food, to crate or not to crate, rope toys or fluffy bunnies, which vet to go to, puppy classes or not (and if so, which? ), the list is endless and we would welcome your thoughts. New words are starting to appear in our vocabulary - kibble, Kong, vetbed, recall - and socialisation no longer means going down the pub. Not to mention the biggest choice of all - what to call her? A few Google searches have uncovered the most amazing resource pool for choosing a name for your puppy. You can search for name suggestions by colour, breed, famous people, famous movies and tv shows, popular names, obscure names and even Greek and Roman gods and goddesses. I wonder if the Duke & Duchess of Cambridge spent this much time on Google when choosing a name for the new royal baby! Needless to say, we haven’t settled on a name yet, but there are plenty of post-it notes on the wall with suggestions that we try out every now and then. So, if you’ve booked to stay with us at The School House over the coming months, or if you’re planning a visit soon, then hopefully our new family member will be very pleased to meet you (if you would like to meet her of course - no obligation!). We may have to cordon off a small part of our garden until vaccinations have been completed, but there will still be plenty of romping space for our guest dogs to enjoy. Also, unfortunately our boot room will be out of action for a few months as this will be used for the main puppy den. Hopefully when Summer finally arrives there won’t be too much demand for cleaning boots and drying off wet clothes! We will of course post some photos on our Facebook page when ‘Whatsername’ arrives and no doubt the best ones will make it onto our website. If you’d like to follow the new arrival’s progress then pop over to Facebook and like our page, or else you can subscribe to our newsletter here: http://eepurl.com/dc-JU1.